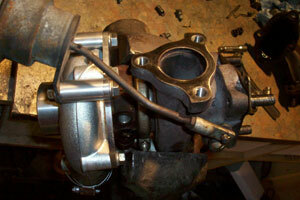 These turbos are 13T’s which are 9B exhaust housings mated to stock WRX 13T turbos. They are similar to 15G turbos and are good for about 400 all-wheel-horsepower. 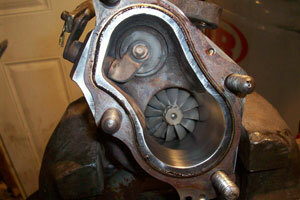 Above you’ll see how the 9B exhaust housing was ported out to accept the 13T, WRX cartridge. 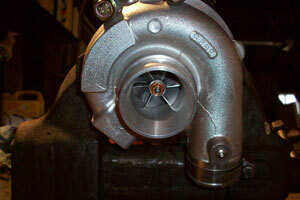 I purchased these turbos from RobBeck on the 3SI.org forum.